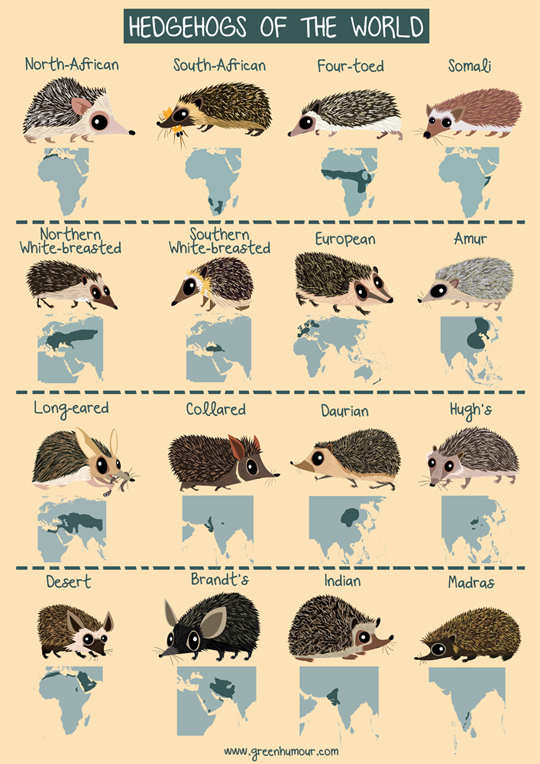 Meet the hedgehogs of the world in this brand new poster! Distributed across Europe, Africa and Asia (with the European Hedgehog also introduced to New Zealand), hedgehogs are 16 species of spiny mammals in the family Erinaceidae. The poster illustrates each of these species with their distributions, and first appeared in the Turkish kids' magazine Artastirmaci Cocuk merkezi.